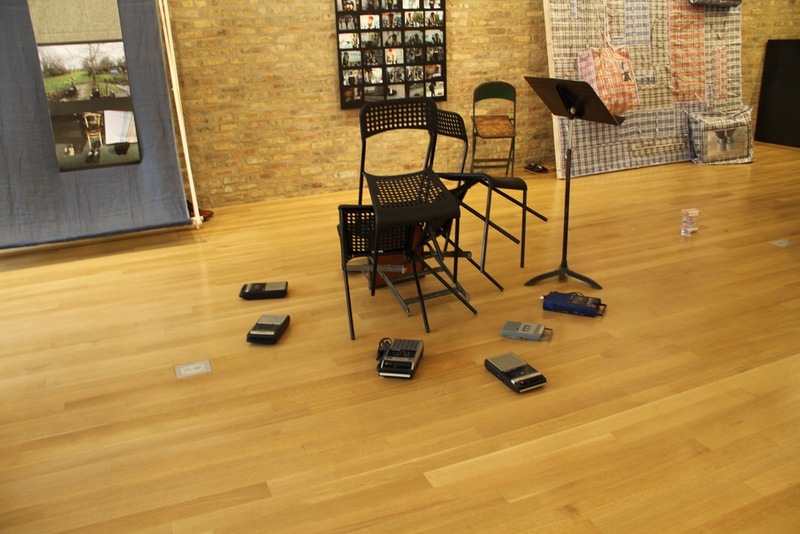 Audio and photo documentation from Mark Booth and Becky Grajeda's Elsetime Duet performed on June 13, 2015 at Sector 2337, Chicago, IL. Elsetime Duet was part of the performance series Not to be Taken held inside and in response to Ellen Rothenberg's exhibition elsetime. The audio documentation above was made from digital and analog recordings taken of and as part of the performance. The recordings were created and mixed by Becky Grajeda and Mark Booth. The photographs below were taken by Caroline Picard and Jesse Eisenberg.